Nancy Adams, M.S. CCC-SLP, is a Speech Language Pathologist. Nancy has worked in the Public School System for over 20 years. She has provided speech/language therapy for students with speech and language impairments among whom are children diagnosed with intellectual disabilities, autism and other syndromes. During this time, she wrote grants and opened a Sensory Room to help address the needs of these children. She has worked providing Early Intervention for preschool children (3-5 years old) and is currently on the Preschool Diagnostic Team. 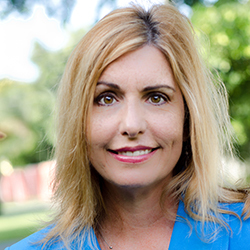 Nancy also works for Broward County’s Early Steps and Children’s Medical Services programs providing in-home speech/language therapy and is a Hanen Certified Therapist. Nancy is Founder and Executive Director of Bridge Disability Network, Inc. She has a passion for working with families of children with disabilities and sees a great need to provide scholarships for families who can’t afford therapy services. Nancy has a Masters Degree in Speech Pathology with emphasis in Medical Speech Pathology from Florida International University. She has teaching certificates from the Florida Department of Education for Hearing Impaired, Preschool and Elementary Education. She has a Bachelors of Business Administration with a major in Marketing from Florida International University. She looks forward to using her experience and education to help those in need. So joined by the Board of Directors, we all hope to assist individuals with disabilities achieve their full potential. 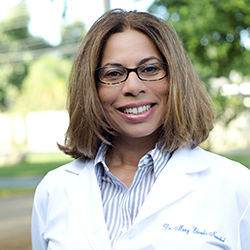 Mary Ebanks-Nunaihed, DPT graduated from the University of St. Augustine for Health Sciences with a Doctorate of Physical Therapy in August 2011. An integral component of her education was perfecting manual technique skills to be used when treating patients who have neurological and orthopedic conditions alike. 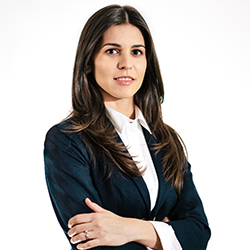 She has five years of experience assisting children, adolescents and adults who have developmental delays and/or neurological conditions that limit their cognitive and physical abilities, achieve physical milestones and goals. 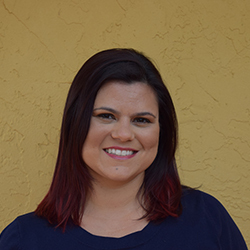 Prior to acquiring her Doctorate of Physical Therapy (DPT), Mary received a Bachelors of Business Administration with a dual major in Marketing and International Business from Florida International University. She was hired shortly thereafter as the Executive Assistant to the Rehabilitation Program Director at a well-known hospital in Hollywood, Florida. She feels joyfully compelled to be part of the Bridge Disability Network, where she can offer her experience, knowledge and skills to help families receive much needed therapy services. 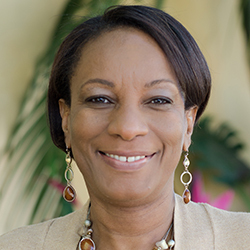 CFE is a Jamaican-born Accountant who migrated to the United States in December 1990. Over the past 3 decades she has worked in various professional capacities in the private sector. For the past 8 years she has been working as a Financial Analyst at the North Broward Hospital District. She earned her BBA in 2006 from Florida Atlantic University. In 2012 she earned her M.A.C with a concentration in Forensic Accounting through the Florida Atlantic University Executive Master of Accounting Program. Angela is also a Certified Fraud Examiner (CFE) and a current CPA candidate. Angela’s ongoing mission is to serve her community. Being the Treasurer of Bridge Disability Network will give her the opportunity to assist in the stewardship of the funds that have been entrusted to the organization. Phil is a minister in the Fort Lauderdale, FL area. He received a Master of Divinity degree from Reformed Theological Seminary in Orlando, Florida. He is also a Ph.D. candidate at the University of Aberdeen, Scotland, U.K., focusing his studies on Intellectual Disabilities. 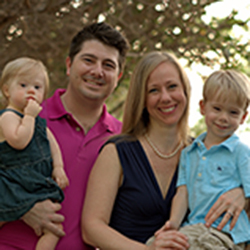 Phil and his wife Jenny have a daughter with Down Syndrome (Jane – 3) and a son (Oliver – 4). With the birth of their daughter Jane, Phil has become very involved with local disability organizations and is proud to serve as Board Chair of Bridge Disability Network. Jussane is a licensed and registered Occupational Therapist. She received her Master’s degree in Occupational Therapy from Barry University. Jussane has worked in a variety of settings including outpatient, schools, day care centers, and home health. She has experience and training in working with children with Autism Spectrum Disorder, Sensory Processing disorder, ADHD, ADD, Down Syndrome, Cerebral Palsy, and Developmental Delay. Jussane is committed to work with children and their families to make therapy both an enjoyable and meaningful activity to increase their function and independence. She is trained in SOS (Sequential Oral Sensory) Approach to Feeding and in iLs (Integrated listening System). She feels privileged to be a part of the Bridge Disability Network, where she can support and provide children and their families, therapy services to increase their quality of life. Jussane is from Brazil and moved to the United States in 1998. She is married to Marcus Assis, and they have two beautiful sons and a daughter. Together they enjoy doing ministry in Miami. 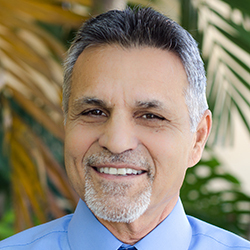 Frank Alfieri, CGC, has worked for the Broward County School Board for over 30 years. His two special needs grandchildren have inspired him to become a part of Bridge Disability Network and spread awareness of the enormous need that families of disabled children have and to work toward raising funds to help these families.